Out and about the other day and we found ourselves at this little playground in South Portland. 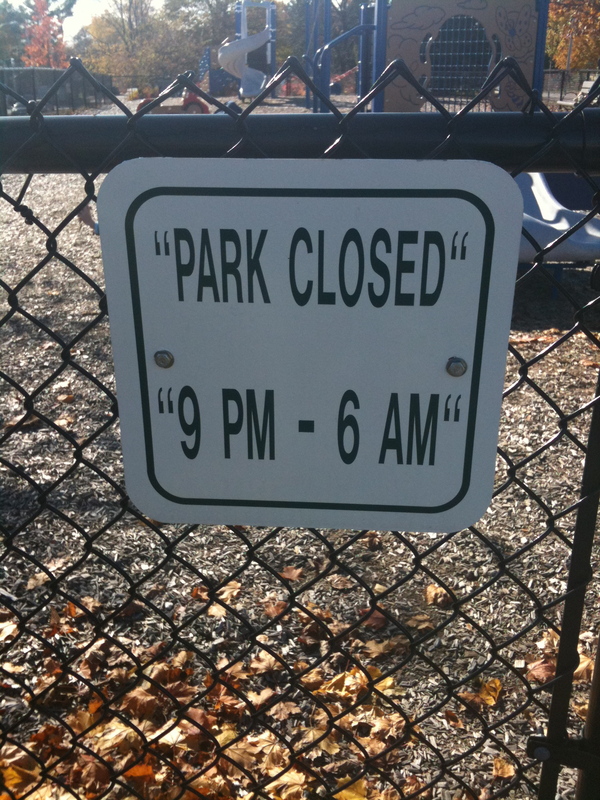 Great place for kids with lots of good slides and swings and climbing things, and it even offers a little humor for those who can read. Makes me wonder just how much they paid per character for that sign and therefore how much they could have saved by leaving out all those quote marks. Just sayin’. Looking for a classic game for your child’s next birthday party? I think my shop has you covered. Here it is, the Extra Large Donkey Party. You’re Welcome. So you know I’ve got this great big house to decorate which includes a whole lot of big empty walls. I’m slowly getting up some old favorites (including a few vintage faves that were in my room as a kid- pics soon) but I’m feeling the need for some fresh ink. Imagine my delight upon discovering Feed Your Soul. This free art program from the folks at Indiefixx is brilliant and totally free. Artists submit their designs for free download and printing by you all while promoting their art. All you need is some nice paper and a frame. Done. 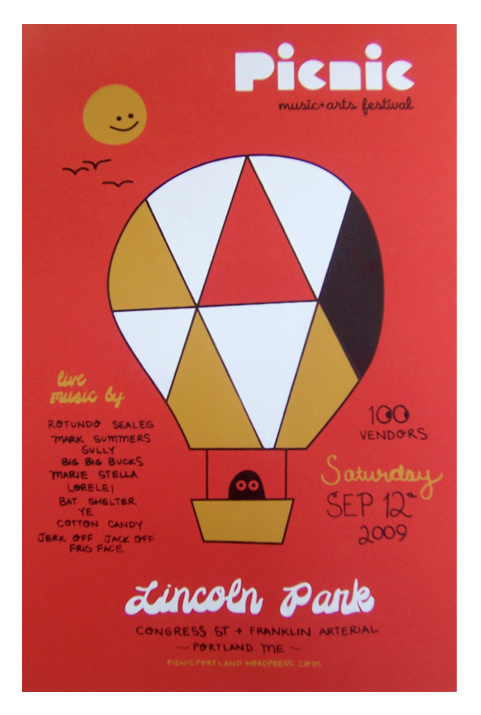 I’m so pleased to share that my vintage shop, HappyDashery, will again be a part of the Picnic Music and Arts Festival. This will be the first ever Christmas Fair version of the fest which is that much more exciting for me since I’m crazy for the holidays. Rumor has it there were double the usual amount of applicants so I’m doubly honored to be picked. The full roster hasn’t been posted but check their site again soon to see who else will be there. Lots of excellent local talent for sure. Aprons are on sale through the entire month of November (plus FREE shipping!). Just in time for holiday baking and entertaining. And I don’t mean for me, though that’s not so bad either. Here’s a little something I did during the kid’s naptime yesterday. 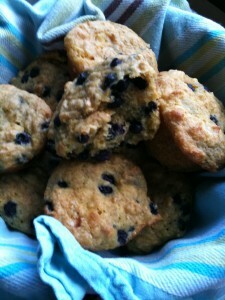 Blueberry Lemon Muffins from Jessica Seinfeld’s Deceptively Delicious. Delicious lemony scent with last summer’s blueberries (from the freezer) made these a really nice afternoon treat. Mine came out a bit gummy which might be from the yogurt, though I’m not sure. Never made a gummy muffin before. Nonetheless, delish.